To ask what is Singaporean food and drink is almost to ask and discover: what is a Singaporean? This tiny island that takes 45 minutes to cross by car is home to a phenomenally diverse history of cultures. You need only look around and see how ‘rojak’ Singapore is. Amongst its 5 million people, it plays host to veritable melting pot of skin colours, races, religions, customs, and of course: food. Although the modern state of Singapore was officially founded in 1965, the island-city’s long history dates back centuries before as a major port in the region; and where there are ships, there will be a traders from all over the world. Over these centuries, foreign immigrants have helped shape the population; Chinese, Malaysian, Indonesian, Indian, European and Japanese influences are just the main contributors to what is now the Singaporean population of today. Needless to say, with all those culturally-rich settlers, a diverse culinary scene was bound to form. You only need to look around at any hawker centre to see Roti Prata dished out alongside delicious seafood, with an aromatic Xiao Long Bao stall just next to it. When I think about Singapore’s food scene, it somehow reminds me of tectonic plates shifting. Shifting all the time, new dishes and cuisines are born and have risen like mountains, others crumble to the sea and become forgotten to the abyss. Of course the best always survive somehow, with their loyal followings seeking them and protecting them throughout the ages. Great examples of this are Chili and Black Pepper Crab (popularized in the 1950s), Chicken Rice, Laksa, Carrot Cake, Popiah, Rendang, Fish Head curry and many, many more. While some of these dishes have regional ‘cousins’, your average Singaporean will defend the authenticity and ‘Singaporean-ness’ of these dishes as if defending a family member. Singapore and its citizens are very proud of its culinary heritage, as they rightly should be! Food here is awesome. Whilst I recoil at the irritating saying that Singapore is only a ‘shopping and food paradise’ (of course, we all know it’s much, much more than that! ), it is undeniable that the search and criticism of good food in Singapore is something of a national sport. If anything, it’s something that unites all the races, and both Singaporean and foreigners alike. You only need to look around at your local hawker and see how packed they are at most times of the day and night with local and foreigners alike to know that Singaporean cuisine is as popular as it’s ever been, if not more so. It’s also incredibly affordable. It’s perhaps the issue of price that upsets me. As someone who used to work in a kitchen in Singapore and who and shops primarily at local markets, I have a pretty good idea on the costings of ingredients. Prices and cost of living are going up, and the famous ‘uncles’ and ‘aunties’ who slave away for 14 hours a day or more to bring you $3 chicken rice command your respect. It’s a tough job working in a kitchen so when I hear someone making noise about the price of a dish going up from $3 to $4 when they would then happily spend $25 for a bowl of pasta at their favourite Italian trattoria, I get a little upset. To confine Singaporean cuisine to the status of hawker food is to stunt its potential growth and development. Don’t get me wrong, some of the best of Singapore’s food can be found is hawkers, and it is DIRT CHEAP but perhaps it’s time to take a step back and open our minds to what Singaporean food is and what it can become. Globalisation has brought amazing ingredients from all over the world. Some Chefs are starting to use Singaporean ingredients and styles and certainly some Singaporean chefs are using foreign styles. A great example of this is at Immigrants Gastrobar in Joo Chiat (closed). Their Beef Rendang is over $20 which might just make it the most expensive in Singapore, however this absolutely mouthwatering dish is made from Wagyu beef cheek. It’s absolutely divine and well worth the money. There has been a lot of talk about the death of the hawker. However I don’t think this is the case. The Singapore hawker is alive and kicking and as quickly as some close down, more and more are opening up. However something has got to give. With prices increasing, and the cost of living seeming to constantly increase, it’s only a matter of time before hawker food prices will increase across the board. And that’s not necessarily a bad thing. Opening ourselves up to this can be a good thing too. Having slightly higher prices means the Chefs have more leeway to experiment with even better ingredients and (if possible) improve on their already delicious offering. Singapore has some absolutely incredible Chefs and I can only hope that more will continue to break the strict ‘hawker’ mould and keep on making waves across the world representing this little red dot of a country. It was only last year that I visited London and came across a huge ‘Singapore Chilli Crab Festival’ at the famous Spitalfields Market. And boy was it packed! 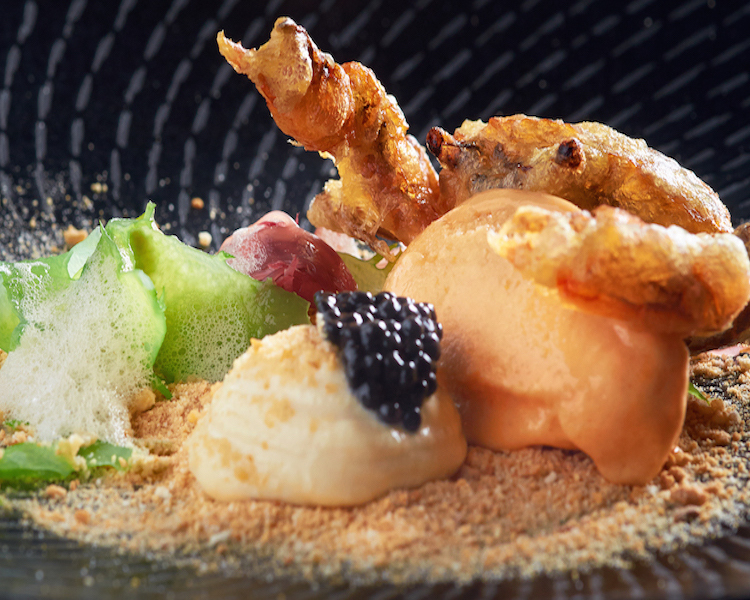 The rest of the world has already begun to see how incredible Singaporean food is. It’s time for us to elevate its status from within and not fear the change. There is and always will be a place for both traditional and contemporary Singaporean food. The great culinary mountains will always stand tall.